Why would I want to have my baby at home instead of in a hospital? Continuous one-on-one care given by the midwife, providing ongoing assessment of the baby's and mother's condition throughout pregnancy and the birth process and postpartum period. Your care provider knows you well and you know your care provider. You establish a trust relationship together. Informed choice on tests, medications, and interventions all offered with evidence- based information. Nothing is done without your consent. Lower risk of obstetric interventions, adverse outcomes and infection. Encouragement to make healthy choices in nutrition, exercise, and life style. The loved ones of your choice present. Comfort of your own bed, bath, shower and familiar surroundings. Freedom to eat and drink, move around, be in positions you find comfortable, and wear want you choose. No need to disrupt hard labor to drive to a hospital. You don’t have to conform and “put on the gown” to enter into a hospital culture with its time constraints, strangers in & out, and some protocols based on staff convenience or group necessity. 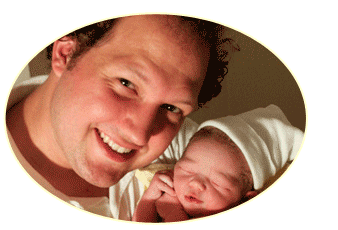 The birth team comes to you as guests in your home and respects your wishes. Bonding with your baby is enhanced and breastfeeding is facilitated by baby being continuously with you. Your husband is a respected decision maker and integral part of the birth experience. Appropriate referral to a physician or hospital when screening indicates the need. But is it safe for me to have my baby at home? Two noteworthy recent studies looked at the issue of home birth safety. A study published in the June 18 edition of the British Medical Journal finds that when Certified Professional Midwives (CPMs) are the maternity care providers for low-risk women having planned home births, that these births are as safe as hospital births. The study also demonstrates that these women in the care of CPMs experience significantly lower rates of medical intervention than their counterparts having hospital births, as well as a much lower rate of birth by cesarean section. This study is the largest of its kind. The researchers used prospective data on more than 5000 planned home births in North America attended by Certified Professional Midwives during the year 2000. “A high degree of safety and maternal satisfaction were reported, and over 87% of the mothers and babies did not require transfer to hospital” care. The risk of infant death following planned home birth attended by a registered midwife does not differ from that of a planned hospital birth found in a study at http://www.cmaj.ca/press/cmaj081869.pdf published in CMAJ (Canadian Medical Association Journal). The study looked at 2889 home births attended by regulated midwives in British Columbia, Canada, and 4752 planned hospital births attended by the same cohort of midwives compared with 5331 physician-attended births in hospital. Women who planned a home birth had a significantly lower risk of obstetric interventions and adverse outcomes, including augmentation of labor, electronic fetal monitoring, epidural analgesia, assisted vaginal delivery, cesarean section, hemorrhage, and infection. "Women planning birth at home experienced reduced risk for all obstetric interventions measured, and similar or reduced risk for adverse maternal outcomes," writes Dr. Patricia Janssen from the University of British Columbia and coauthors. Newborns born after planned home births were at similar or reduced risk of death, although the likelihood of admission to hospital was higher. So what if something does goes wrong (what your husband and your mother want to know!)? The first line of safety is careful health screening before being taken into care and then on- going health screening at each prenatal visit. A review of Appendices A, B, C, D, and E found in the Standards of Care (PDF) identifies various health concerns screened for during care. If you develop a condition mentioned in Appendices C, for example, we refer you to a physician for medical care. During labor we do an initial assessment of mom and baby’s well being and continue periodic assessments according to established protocols throughout the birth. If signs of fetal distress or maternal distress occur we initiate a pre-planned transport plan. As a licensed midwife I carry anti-hemorrhagic medications to control any excessive bleeding, oxygen for mother and infant, bag and mask and airways for resuscitation, DeLee and Recue Vac for removal of any meconium. I am certified in the Birth Emergency Skills Training (BEST) Course to manage birth emergencies in the out of hospital setting and in a variety of ‘tricks of the trade’ to keep you safe and help your labor progress normally. Appendices E in the Standards of Care outlines situations in which we would initiate a transport to a pre-determined hospital and/ or provider of your choice. At your initial consultation I can talk more about my experiences with handling unforeseen events, and emergency transport. Safety is the bottom line in care and I continue the home birth plan only if the birth and postpartum course are within normal limits. A transport/transfer of care form is completed at every birth. 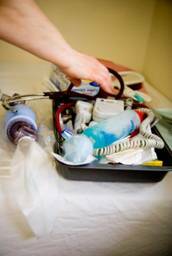 An appropriate transfer of care is made by phone contact with the OB nurse manager or attending physician at the chosen hospital. For a non-emergency transfer we go by private car; for emergency or time sensitive transport we call 911 and go by ambulance. The Emergency Medical Services system in Minnesota is excellent and licensed midwifery has existed since 1999. 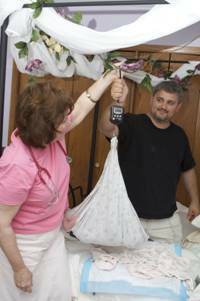 EMS has valuable experience interfacing with out- of- hospital birth transports. In most areas I serve they provide top notch professional care in the face of an emergency. Exactly what services do you offer? Initial consultation visit to help decide if homebirth is right for you, get your questions answered and have the midwife verify your low risk status; then both you and she decide if you can develop the trust needed to work together over the next months. There is a non-refundable deposit of $50 for this two hour visit, which is then deducted from the midwifery fee when care is established. You and your husband must attend this visit and we ask that, for this visit only, you get a sitter for your other children. Prenatal visits that last for an hour at the Metro or Princeton locations. You and your baby’s health is monitored by taking your vital signs, measuring your uterine growth , listening to your baby’s heart beat with your choice of Doppler or fetascope, and hands- on assessment of your babies position in your womb. Besides these common aspects of prenatal care we take most of the hour to talk about what’s going on in your life, your family and your heart. Your children and family are most welcome to attend visits. Lab work available at two lab locations with on-going information about why lab tests are offered and the benefits or any risks, if any. Ultrasound assessment if you desire or need it at one of three different medical imaging groups nearest you. On-going prenatal education, option of two different self-taught prenatal courses, books and DVDs to borrow and referral to Birthing From Within Classes. Referral to Breastfeeding classes with an International Board Certified Lactation Consultant familiar with home birth and who will make house calls if needed. Waterbirth. Heritage encourages the use of water immersion for pain control and actual delivery in the tub of your choice. I help you choose the best inflatable birth tub and liner for your budget and height and and I instruct how to do set up. It’s then your tub for your next birth! I carry a sump pump to drain the tub after the birth. Phone consultations for any on-going concerns, and then help determining when you are in labor and arrival at your home when labor is active. Continued attendance at your labor until your baby is born and, if a transport becomes necessary, staying with you in the hospital functioning in the role allowed me by your attending physician. Immediate post partum care to stabilize you and your baby and continued attendance from 2 to 8 hours or more as needed. Careful postpartum instructions before midwife leaves. Newborn exam, and if desired, Vitamin K and/or antibiotic eye ointment. Help with cleaning up after the birth… bagging disposable trash, pre-treating and starting laundry of soiled linens; stripping the bed and preparing it again for mom and baby. Partner with a professional birth photographer (www.edahlphotography.com) to artistically document your actual birth, your pregnancy, or your newborn. GetPrivatePractice Electronic Medical Record that allows you access to your developing midwifery chart to promote your full participation in your care and enhance the midwife/client trust relationship. Prenatal visits are every 4 weeks until 28 weeks, then every 2 weeks until the 36 week home visit, then every week until delivery. 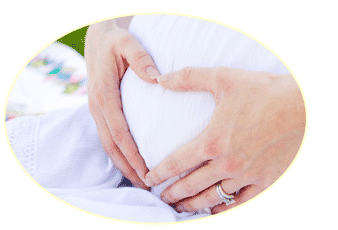 A prenatal home visit at 36 weeks to help you prepare your home and supplies for the birth. In - office post partum visit at approximately 1, 2 and 6 weeks. 24/7 on call for you from approximately 37 to 42 weeks. Phone call and texting accessible for questions or concerns. How do I become a Heritage Midwifery Client? This password will give you access to the client resources page to download and print documents. Read the Informed Consent, Fee Agreement and Insurance Information pages. If you and your husband like what you see, contact me to set up a date and time for your initial consultation. Obtain any past medical birth records by using the Request for Protected Health Information form in the client section. Complete the Health History/Questionnaire and a 5-7day food dairy, then print and bring copies of all these documents with you to the initial consult at the location of your choice. Print the directions for the Crystal location or the Princeton location. At the consultation I’ll review all this information and answer your questions. You decide if you feel comfortable with me. Heritage will review all your records to assure your expected safety for an out- of- hospital birth. Then we’ll both decide if we have the ‘connection’ needed to build a midwifery trust relationship together. You are officially in Heritage care when the Informed Consent and Fee Agreement are signed by both parties and the non-refundable deposit is paid. How much does midwifery care cost and will my insurance cover? Heritage Midwifery fees are far lower than comparable hospital care and competitive with most other home birth midwifery practices. 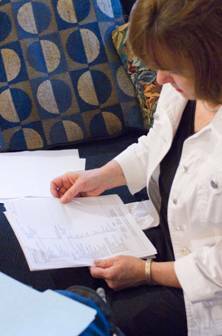 As a Minnesota licensed midwife, I am an out-of-network provider for most insurance plans. If you have an out-of- network option, reimbursement depends upon your level of deductible. Minnesota has mandated prenatal care coverage that covers most health plans; so many clients do get at least prenatal care reimbursed. Heritage works with a professional billing service to answer your insurance questions, verify your benefit level, submit a test claim and bill usual and customary charges for all allowed services. There is a small percentage deducted from any reimbursement that is paid to the billing service to cover the billing submissions. The Insurance Information document details how we work with insurance, but basically you pay us the midwifery fee deposit and then we bill for reimbursement. Do I have to also be seeing a doctor? As a licensed midwife I can do all of your normal prenatal care and lab work. I do not recommend complete co-prenatal care. It is unnecessary, confusing to you, and might mislead another provider. However, it’s prudent to have your own physician or have a visit with one we refer you to, if medical consultation or transfer of care becomes necessary. I can recommend physicans with whom I have established relationships. You can use an urgent care for minor illnesses if you choose. You also need to choose a doctor for your baby. Most home birth parents and their children are very healthy and rarely see a physician. However, we do recommend that you establish care in the event the need arises as having your own doctor smoothes the transition if baby needs to be seen. Although not the best, you have the option of using the emergency room and on-call physican for birth transport or sick baby care. When do I call you in labor? With midwifery care you have access to your midwife and phone contact is encouraged, particularly in late pregnancy. It’s reassuring for you to talk to your midwife about any signs of early labor. We can help you decide if what you’re experiencing is actual labor or just a warm up session. We can usually tell over the phone when your labor is getting established. Do you come alone to my birth? Not usually. And particularly for first-time moms, I bring along one of my colleagues to assist. Exactly who comes depends on availability, so you don’t meet her before the birth, though occasionally, a meeting could be arranged. 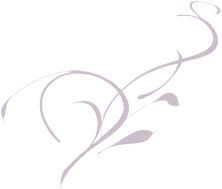 This midwife is there to assist me and add to the safety of your birth. I sometimes have students working in my practice. They would be at your prenatals and you would have opportunity to get to know them. Your comfort with your birth attendants is of utmost importance. Occasionally, I will come alone if I know you have other capable help to assist me or your birth is going too fast for an assistant to get there. Do you follow the same practices as in the hospital like cutting the cord right away, taking the baby to a warmer or giving shots? Midwifery care strives to be evidence based. Delayed cord clamping, for example, has been shown by research to benefit neonatal transition. We aim to tailor our care to your individual needs always striving to seek your consent and /or explain any recommended procedures. Mother is the best ‘warmer’ for her baby! We demonstrate and encourage Kangaroo care for the first 24 hours. 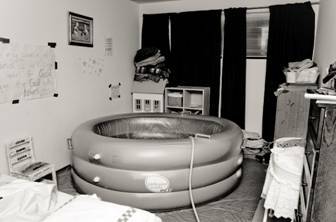 If a baby does become cold stressed in spite of this care we offer a warm water immersion/Laboyer style bath to re-warm. We can administer the Vitamin K shot, but no other immunizations. We offer a balanced look at the research on the immunization decision and offer referral to a family doctor or pediatrician for follow up care. What if my tissues tear during the birth? Do you do episiotomies? I’m trained to repair the most common types of tears. I carry numbing medication to make the procedure go smoothly. If a tear is severe and out of the midwifery scope, we’d transfer to a hospital to have the repair done by a physician trained in such repairs. Its part of the ‘Heart and Hands’ of the midwifery model to protect delicate tissues using the delivery skills we’ve developed. An episiotomy is within our scope of practice, but we’d only use this procedure in a rare emergency. What do I have to do to prepare my house for the birth? I give you a hand-out with a list of household items you assemble in a large plastic box. You order a birth kit from a birthing supp ly company. These items are then available at your home visit for me to arrange in an accessible fashion. I also show you how to prepare your bed with plastic covers and a double set of sheets and the best way to protect your floors. If you’re planning a waterbirth, I’ll also review these preparations carefully. If you’re concerned about needing to “clean” your house before the birth… Don’t be! I raised six children with the motto, “My house is clean enough to be healthy and dirty enough to be happy.” You birth as you live. It’s good to know however, that we do clean up any birth mess before we leave. Who can I invite to my birth? This is YOUR birth. You can have anyone of your choosing with you. However, my only stipulation is that they come to your 36 week home visit to talk about home birth and get any unspoken questions addressed. If they are from out of town, we can arrange a phone call during one of your prenatal visits. Your children are most welcome at the birth, though I strongly advise a designated adult be there exclusively to care for your children, so your husband’s attention is not divided. 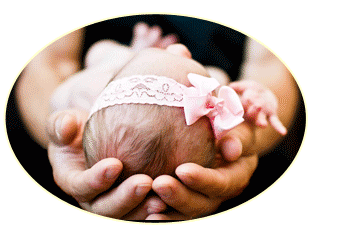 There is a handout in the client section that offers more insight into the decision of who to invite to the birth. Please know that I rank my calls in the order of urgency, giving priority to my clients’ needs. If you are calling to inquire about care, I will get back to you when I am not caring for other clients. Sometimes this could be a few days. If you haven’t heard back from me, please call or email again until you reach me. I look forward to talking to you and hope many of your questions have been answered by reading over this website!